VietNamNet Bridge - Some students complained they had a ‘busy working Tet holiday’, while others said they enjoyed a ‘no-home exercise Tet’. Educators still disagree about whether to ask students to do home exercises during long holidays. Education forums in recent days have been full of stories and images about the Tet holiday, and of students doing home exercises. Teachers told students to do homework during the holiday because they feared the students might play too hard and forget necessary knowledge. Many students complained they were under pressure as they had to do a ‘mountain’ of home exercises. “My teacher gave so many exercises. She said we need to review lessons, or we will lose all the knowledge,” Le Thu Ha, an eighth grader in Hanoi, said. Meanwhile, other students said they enjoyed Tet as they did not have exercises to do. “The parents’ association and the school management board agreed there was no need to ask students to do home exercises during Tet. Students are overloaded in school hours and it’d be better to let them relax on holiday,” Tran My Anh, an eighth grader, said. 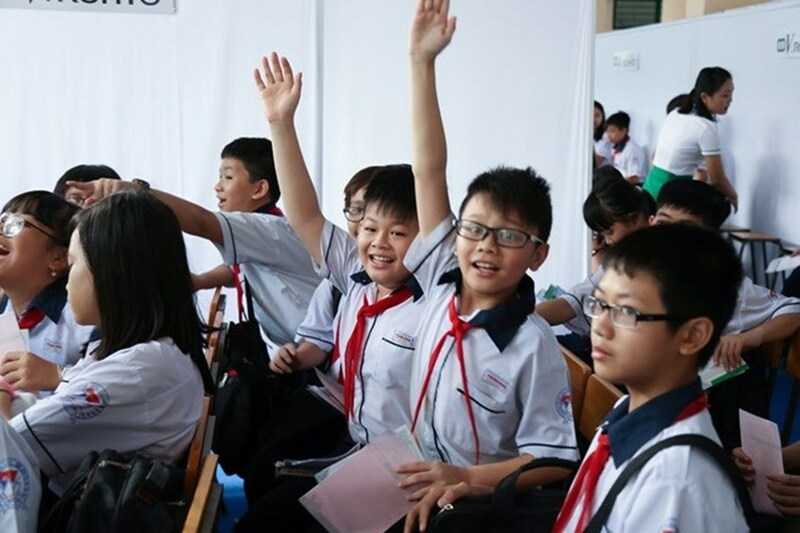 Nguyen Tung Lam, chair of the Hanoi Education Psychology Association, believes that it is necessary to arrange time in a reasonable way so that students have enough time for entertainment and can adapt quickly upon their return to school. Lao Dong newspaper, which conducted a mini survey of 20 students, found that students did not want to do home exercises during Tet days. A student from Yen Hoa High School in Cau Giay district of Hanoi said she wanted to spend her free time on relaxing and entertainment. “Imagine that you are in a noisy party, but you have to leave it soon, because you have to return home to do home exercises,” he explained. His classmate, who won the title of excellent student for the first semester, agreed, saying that home exercises need to be done in school hours, while entertainment needs to be done on holidays. Teachers are still divided about whether to ask students to review lessons during long holidays. Meanwhile, a high school teacher admitted that his students would not do exercises even if he asked them to do so.